Since we don't participate in any Black Friday events (#allfridaysmatter), and it was raining out - we went to the cinema. There are actually a few movies we wanted to see - and quite a few more coming before year's end. I am so going to have it over Magic Mike in next year's Annual Academy Awards Guessing Game™. This time out we went to see Brooklyn. I found it a really good movie, as long as you don't mind film in 4/4 time. Actually, Brooklyn ranks in the top 3-4 movies so far this year. Not too shabby, considering it's been a pretty good year for film, if I say so myself. Without giving up too many details - the story is almost like a tale of two countries, one being the traditional Irish upbringing and the 1950 land of opportunity in the U.S - and of course, the relationships of both. While there are some parallels in the story at the separate location, there is a slight missing element, if Saoirse Ronan's character is to choose between two existences, one has life, one less so. This includes two suitors. One I felt, one I didn't. I wasn't sure if that was a fault with the script, the direction or if it was supposed to be a difference in cultural divide. Ronan (whom you probably saw in the Grand Budapest Hotel) should be a shoe-in for an Academy Award best actress nomination (are you taking notes, Mike?). I mean, it will probably come down to her and Bryce Dallas Howard for Jurassic World. It could be a fight to the death. I kid. I kid. Opie's daughter sucked monkey balls. And there is an on screen mini-Harry Potter reunion with Molly and Bill Weasley and Professor Slughorn, though none appear in scenes together. There is also a decent turn by Don Draper's last wife too. Emory Cohen, who plays the Italian boyfriend, Tony (I know, right? ), is just frickin' adorable. You just root for him. And his little brother is hilarious. Molly Weasley Julie Walter also does a great job. Artsy wise - the film is nicely shot and the music is well done and fits. There are no chase scenes or explosions. It's just a story - a sometimes slower moving story. Still it gets an A- from me. As it stands, depending on release dates here in this medium-sized market, there are five more movies to see in 2015. 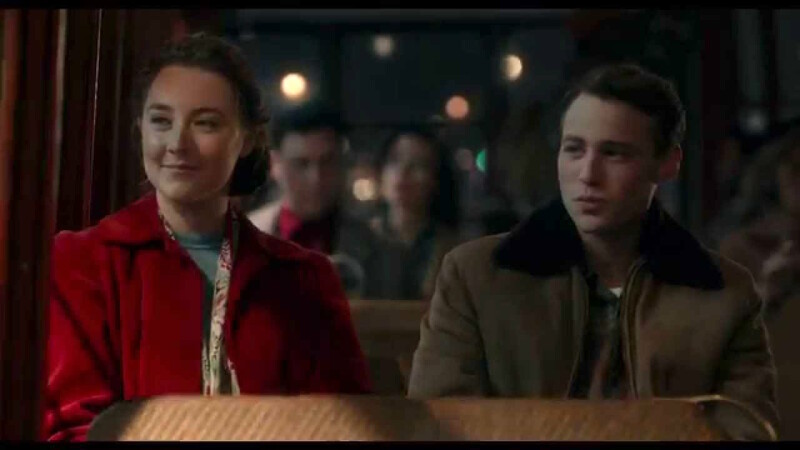 I'm with you on 'Brooklyn' being one of the films of the year in a good year for film, Blobby, though whether it'll make it into my top 3 or 4 I don't yet know. Certainly Top 10. Emory Cohen (who facially kept reminding me of a young Richard Gere) left the biggest impression of the cast with me. His easy manner in front of a camera was quite something, and I look forward to seeing him again in whatever. I reckon he'd have a wide range of roles he could play convincingly. I just clicked on the trailer. It's now on my must see list. I appreciate your reviews as I do not keep up with movie releases on my own and just stumble upon them along my way. You (and Raybeard) help me stumble.